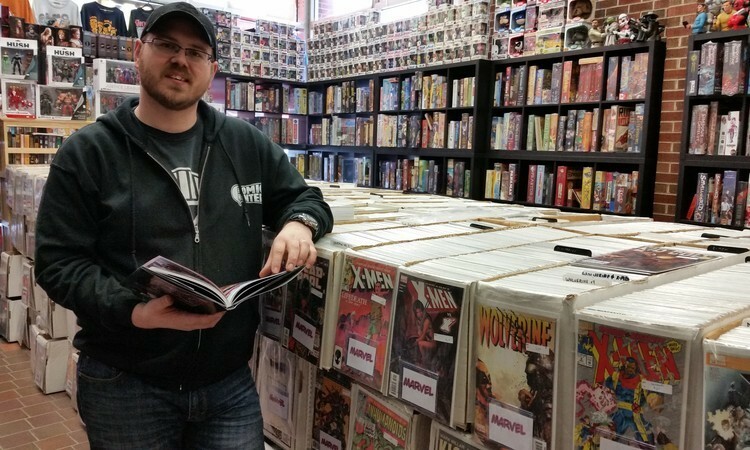 Rémi Vienneau LeClair – avid comic aficionado and local business owner took the time to sit down with us at Bleeding Fool to talk about his love of comic books and what it’s like to bring that passion and product to fans. 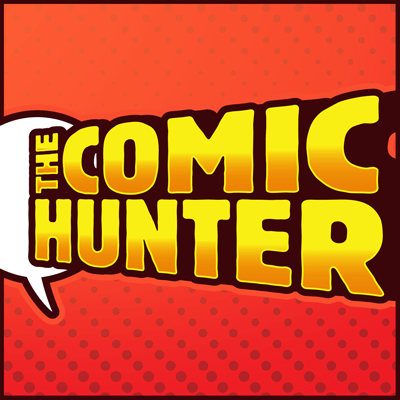 The Comic Hunter is a mainstay of comic culture in our region of Atlantic Canada. 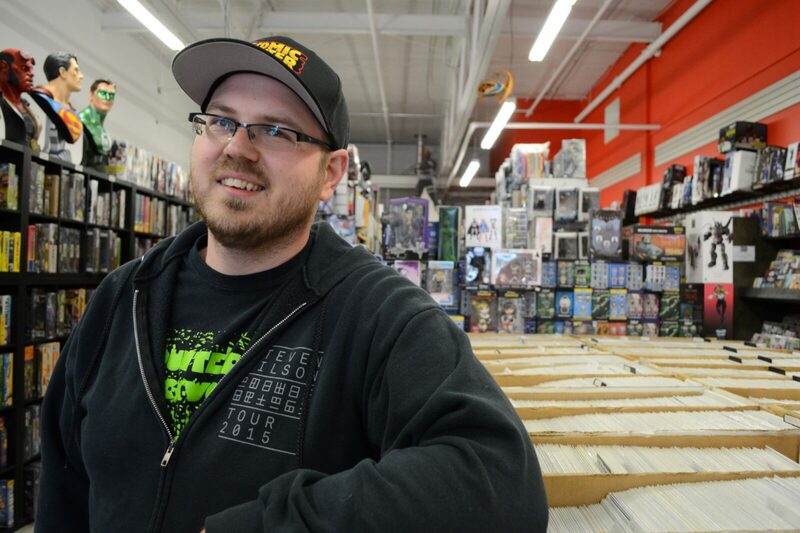 With a shop in Moncton along with a sister shop in Charlottetown, Prince Edward Island for almost 15 years now, these shops have been hubs for comics and related materials for over a decade. “The Hunter” in downtown Moncton hosts RPG, card, miniatures and table top games of all varieties almost every night of the week. There is something for everyone at this one of a kind shop. The Comic Hunter is also a great supporter of local talent, whether it’s artists and writers, cosplay and everything in between. So if you are visiting our wonderful city, don’t miss a chance to stop in and browse the shelves for new materials on your list, or check out a huge assortment of back issues and perhaps find something that you may be missing and a great deal more than that. The Comic Hunter has it all. We thank Rémi for taking the time to speak with us about comics business from his point of view. 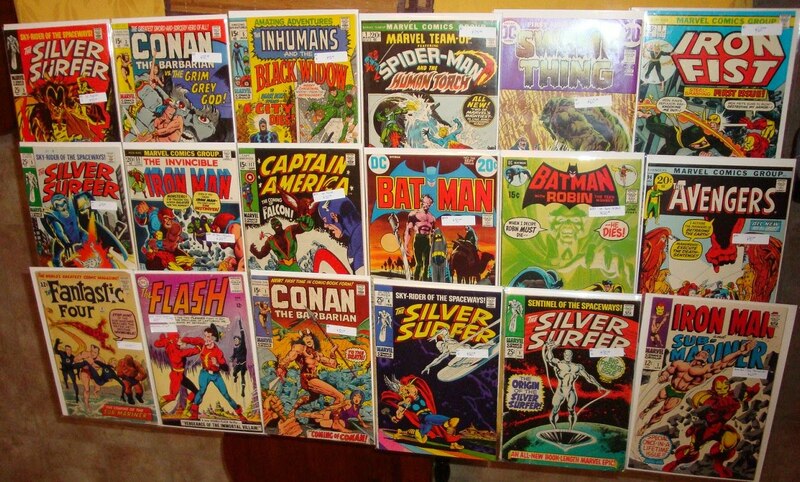 BF – Please tell us a little about yourself and how did you come by your love for all things comics? Rémi – My name is Rémi Vienneau LeClair. Originally from Dalhousie, but having spent some time in Ottawa before ending up in Moncton. I don’t really remember a time when I wasn’t reading comics. We had a great little corner store that carried comics into the early 90s, which unfortunately closed, and I was stuck getting comics wherever I could find them. Generally from visiting my brother in Ottawa, but at one point, I convinced a local corner store to bring in the various X-titles specifically for me through their newsstand account. So it’s always been there, and I always found a way to get my hands on some! BF – What are some challenges that you feel are unique to the comics shop business in particular? Rémi – Keeping up with changing trends, whether in readership tastes or in technology and whatnot. People buy for a multitude of reasons, and every change, be it to the story or the method of distribution or numbering or anything, maybe please one person and anger the next. I try to just be positive about everything and take each change one at a time. Who is this for? Will it help? How can I see it as a positive? Adjusting is how any company survives, so we have to learn to adjust along with them, whether we think the decisions are good or bad. BF – What are some things you know now a decade on that you wish you knew when you began? Rémi – umm… this is a tough one. Hard to say any one thing in particular, cause it’s all experience. Learning who to trust when people offer to help is a big one, from a purely business side of things. 99% of the people who walk through the door are honest, but that last 1% will have all sorts of people trying to get one over on you. I try not to be jaded about this kind of thing, and I think getting a feel for people comes with experience too. The rest is just adjusting as you go, and going with the flow as much as you can. BF -How have things changed for you as a business owner as the community continues to expand ? Rémi – The internet is a bigger factor than ever. It was certainly around 13 years ago when I started, but stuff like Facebook and YouTube make it so people are more aware than ever about what is going on, and opinions fly quite a bit. I try to avoid that side of things as much as possible, but we aware enough if people are talking about it. I’ve grown indifferent to spoilers and things like that, cause they just come so fast. On a local scale, just having our local convention, the cosplay scene, as well as local creators creating more content than ever, that’s exciting to see, and it’s really something I hope keeps growing. I can’t take credit for much for it, but anything I can do to facilitate it for them, I will! BF – How do you cope with the various trends that come and go and the branching out into the indie and self-publishing direction that seems very hot at the moment. How does it affect the ways in which you approach business as an owner ? Rémi – Like I said in a previous answer, it’s really just adjusting as you go, and remembering that everyone is just trying to survive when big changes come. Indie books are better than ever and have a bigger share of the market than they’ve maybe ever seen, and there’s really something out there for everyone. Keeping up with good creators/writers/artists is pretty key. I always push for subs for our regulars. A book might be hot out of the gate and sell out, or I might just miss something cool and not order enough. I offer pretty flexible pre-orders, and love to help get great books in to people’s hands as much as I can. BF – Can you tell us a bit about the local scene here in Moncton and how has it evolved from your perspective? Rémi – Well, without gloating too much, I do feel that when we started, a lot of people were just burnt out, either from the older comic shops or the comic scene in general. 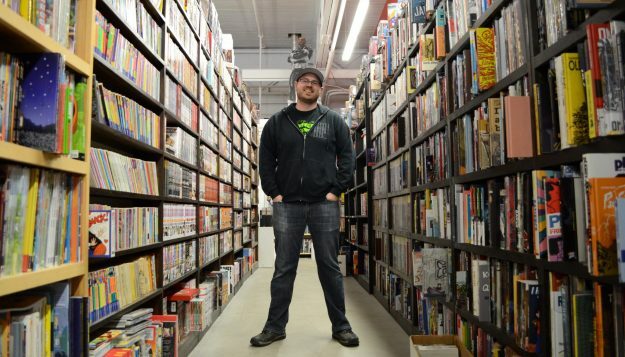 I think offering a good place to shop for anyone and everyone, and carrying a large selection of comics and graphic novels has helped with new and old readers alike. Between that, and the growing scene of local talent, and our East Coast Comic Expo, and things like Facebook where people can share their love of books with a wider audience, I feel the local scene is as positive and vibrant as it’s ever been! BF – Are there any changes or directions that you’d like to see happen for our local scene? Rémi – Even more local creators would be fun to see. I’m sure they’re out there, and just don’t know how to get started. Getting some sort of regular art night or writing night would be fun, but since I can’t do either, I may not be the right person to get this going, hehehe. BF – How have you had to adjust your business style to accommodate the radical change in our favorite medium with the growing popularity of digital work and sales ? Rémi – Like so much that is going digital, at the end of the day, a lot of people still love to holding something when they’re reading/looking at it. It’s a little different with say, music and movies, where the product is not quite a physical as a book or a comic book. People called for the end of bookstores and physical books as e Reader got more and more popular, but that leveled off a few years back, and book sales have started climbing again slowly since. At the end of the day, offering good customer service and having a wide selection is what I hope will keep people coming back. BF – How do you see the industry evolving into the next decade? Rémi – Hard to say. Digital books will probably keep growing, and there are always stories of bigger stores getting into the single issue business. This is always a concern, which is why I strive to give the best customer service we can, and keep our regulars happy, as well as making the store inviting to newcomers! BF – I know you’d rather not endorse any one title over another, but do you have any favorites? If not do you have any recommendations for titles that folks might not be aware of ? Rémi – Jeff Lemire’s Black Hammer (and all the spin-offs) has been amazing. East of West by Jonathan Hickman has been a favorite for a few years. This one is ending soon which is a little sad, but I’ll be more than happy to re-read it from the start! I’m a Marvel nut, and there’s a ton of fun books there, especially when you’re looking at the solo books. Daredevil, Ms Marvel, Spider-Gwen, Thor, Punisher, all solid for sure! Harrow County at Dark Horse just wrapped up, but was one of the best horror books I’d read in a long time. I could probably list 50 great books in the last couple of years alone, let alone over time, and all the stuff I may have missed! Where Heroes Come To Play!